If you or someone you care about has battled breast cancer, you might be considering pink ribbon tattoos because of their international association with breast cancer awareness. They are a great way to pay tribute to those who have lost the battle or show your support to someone whose cancer is in remission. 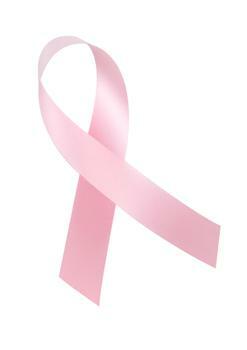 Pink ribbons are the international symbol for breast cancer awareness. Therefore, pink ribbons make an obvious tattoo choice for people who want a permanent reminder of a cancer battle they've won or those who just strongly wish to remind women to do their self-exams every month so that they can catch a lump before it progresses. These ribbon tattoos are perfect for survivors who want a reminder of the things that they can and have overcome, and they're also beautiful tributes for people who have lost a loved one to breast cancer. The tattoos can be large or small, stand alone or become part of an intricate design (butterflies and flowers are popular add-ons). They often placed anywhere on the body from the feet to the back of the neck. Some survivors even place them to help cover scars as part of the healing process, and it gives them a sense of closure. According to Cancer.org, about 40,170 women and 440 men were expected to die from breast cancer in 2009. It's no wonder there are so many people who feel strongly about getting the word out about what can be done to catch breast cancer before it's too late, or that there are several variations of pink ribbon tats to represent the importance of prevention and a cure. 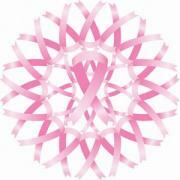 Pink Ribbon Shop has temporary tattoos you can purchase and wear at your next Breast Cancer Awareness event. You can buy sets of five or ten. 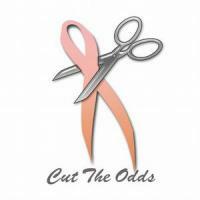 Promote awareness for breast cancer, support a survivor, remember a deceased loved one or get a pink ribbon tattoo to remind yourself of the battle you have fought and won against the disease. If you want to get a meaningful tattoo and you've experienced breast cancer as a victim or as a friend or family member of a victim, you might want to consider the pink ribbon as a simple, understated tattoo or part of a larger, more elaborate tattoo design. Take a look at others' pink ribbon designs and piece one together for yourself that perfectly symbolizes your relationship with breast cancer.